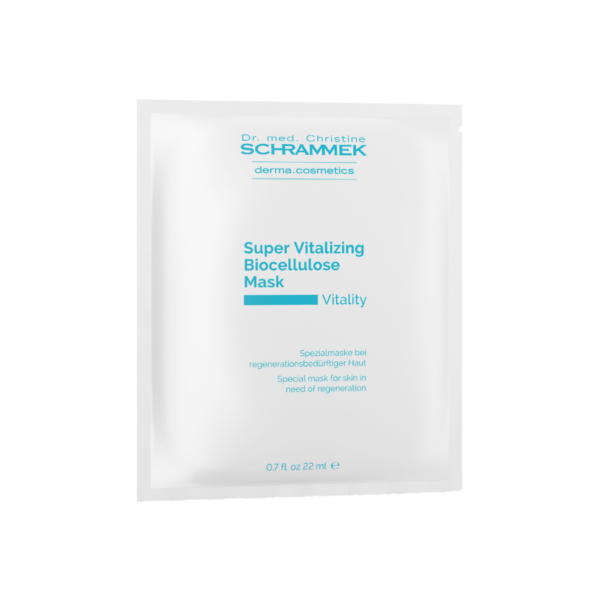 The new Super Vitalizing Biocellulose Mask is especially suitable for skin in need of regeneration. It is the ideal ingredient carrier and adapts like a second skin. Valuablee ingredients like collagen, algae- and chicory extract build an intensive, moisture-binding and regenerating film, which provides the skin with a firmer appearance. 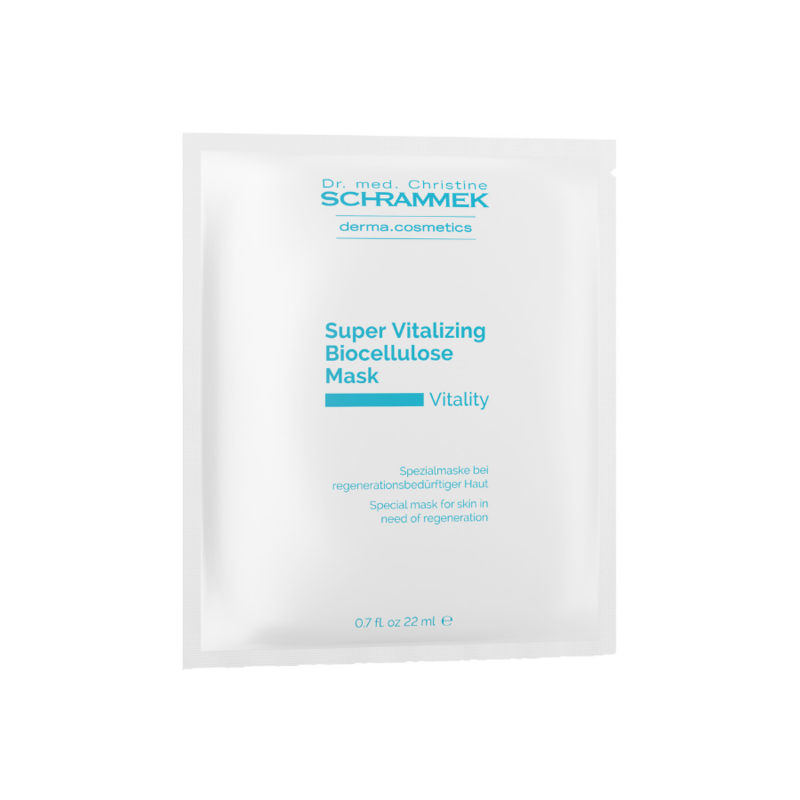 The mask helps to counteract signs of skin aging, to smooth the skin, cares and cools intensively. Every mask has its individual, hygienic packaging. Its effect can be intensified through an ultrasound treatment on top of the mask.